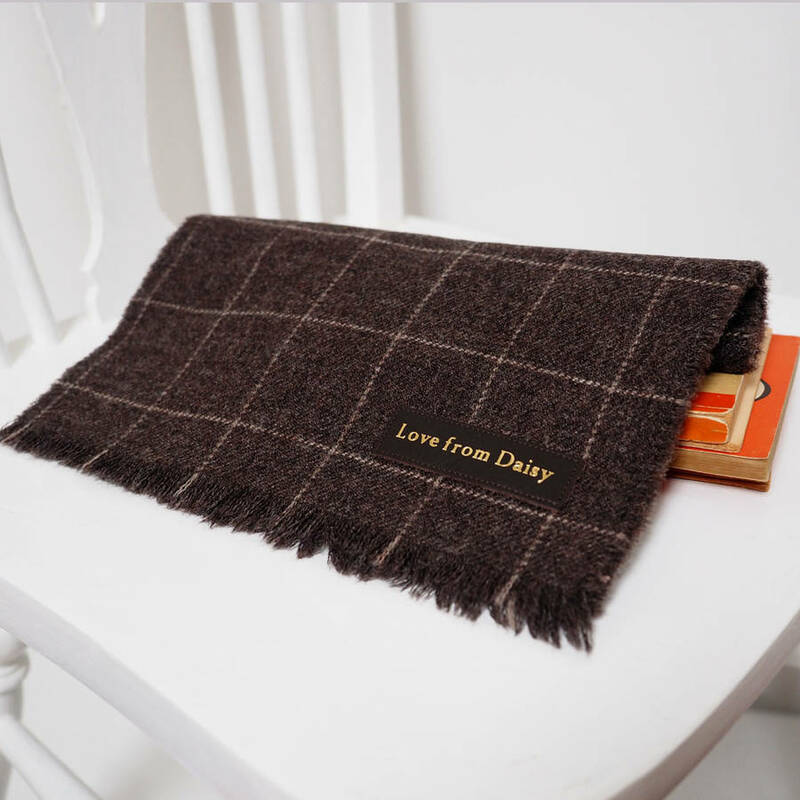 These beautiful lambswool scarves are personalised with the message 'love from ....' and a personalised name. The message is embossed onto a leather patch using a gold foil and hot foiling process. 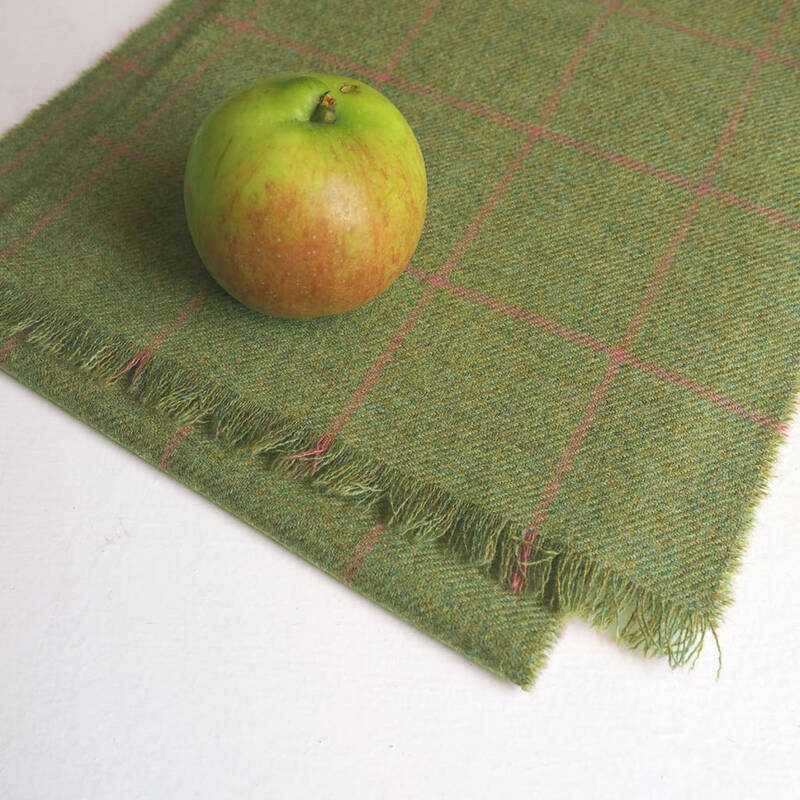 It is then sewn onto the corner of the scarf. 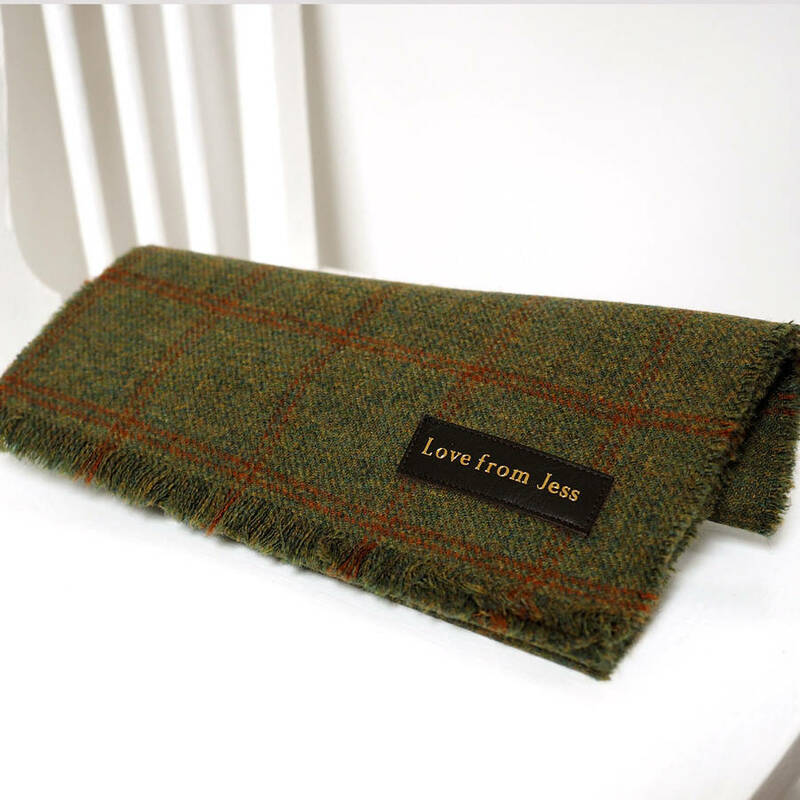 The scarves make an ideal gift for a husband; a scarf in a stylish British tweed with a subtle personalised message to your loved one. 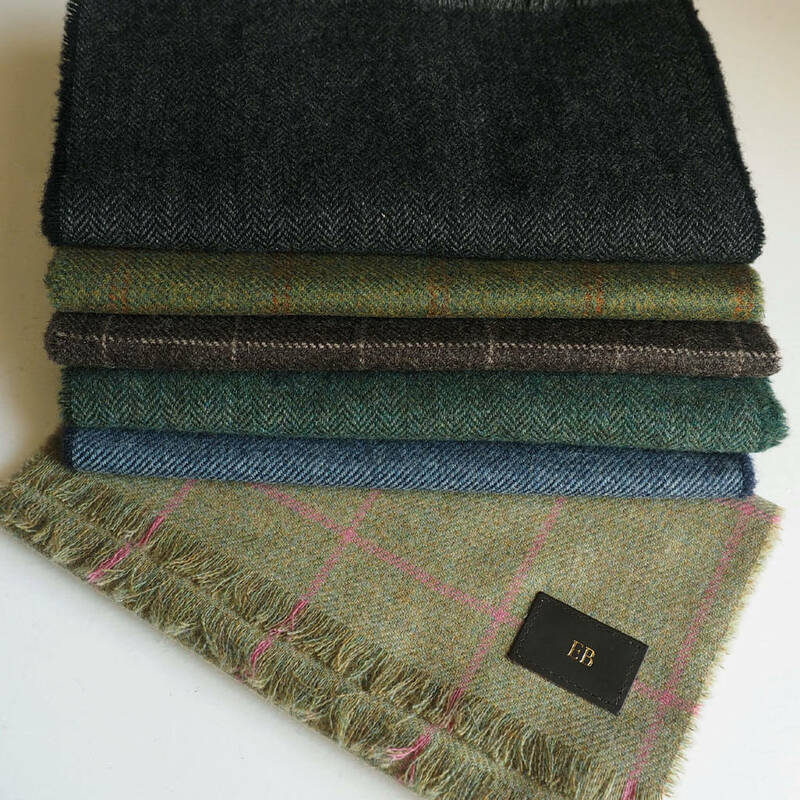 We make our scarves in our Cambridge workshops and have carefully sourced our fabric for quality and consistency. 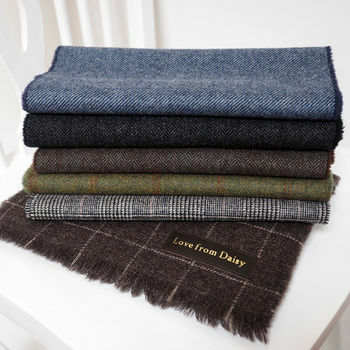 We have chosen the herringbone and check fabrics we really love. The soft muted colours and subtle blends of thread make them versatile and really easy to wear. brown and cream grid check. 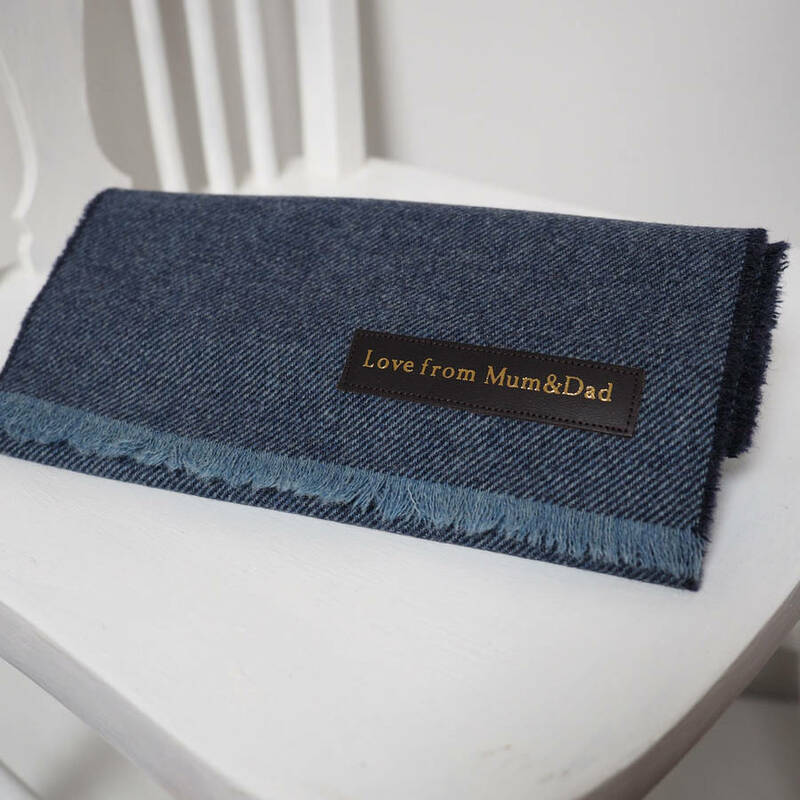 We personalise these items by hot foil embossing a brown leather patch with gold text and then sewing it on the end of the scarf. This creates a subtle effect that is easy to wear. 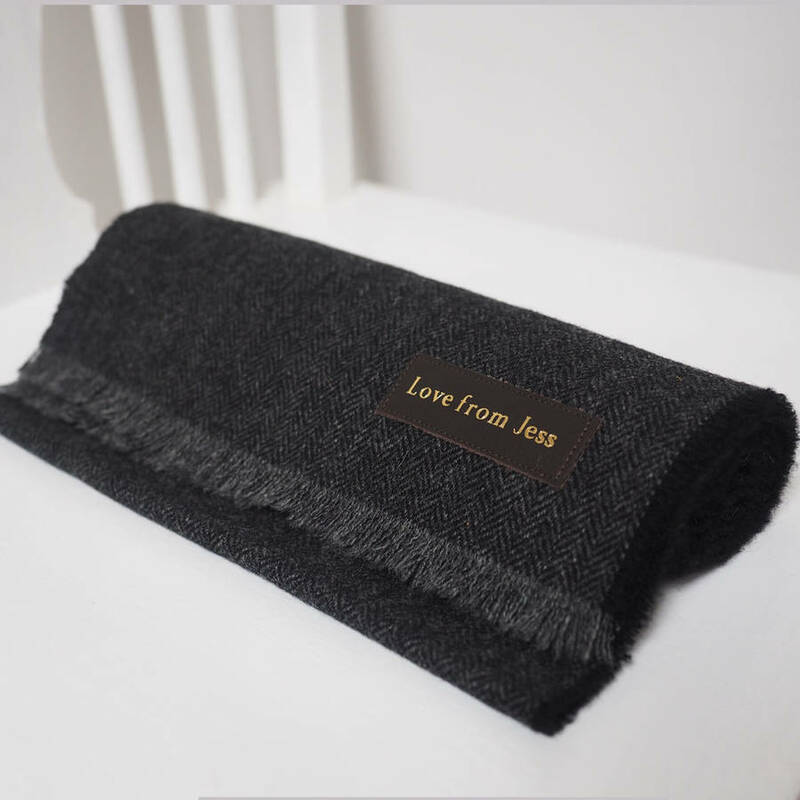 All scarves are embossed with the words 'Love from' and then we will add the required name. 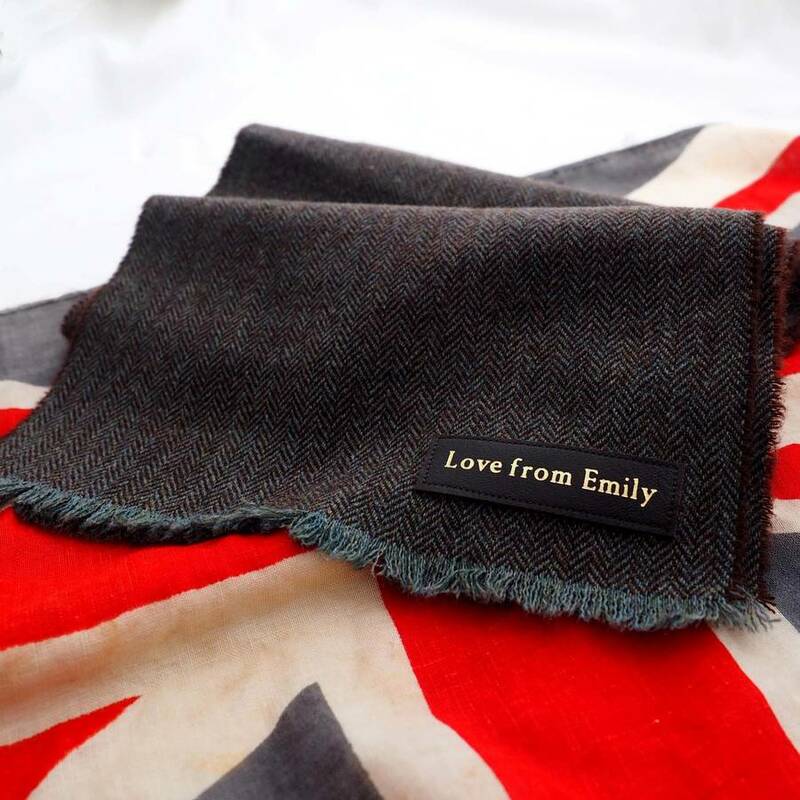 If you would like a scarf with a longer message please see our 'personalised lambswool scarf with your message' this is engraved rather than embossed. We will advise if we have insufficient letters to complete your message and offer alternatives or a refund. 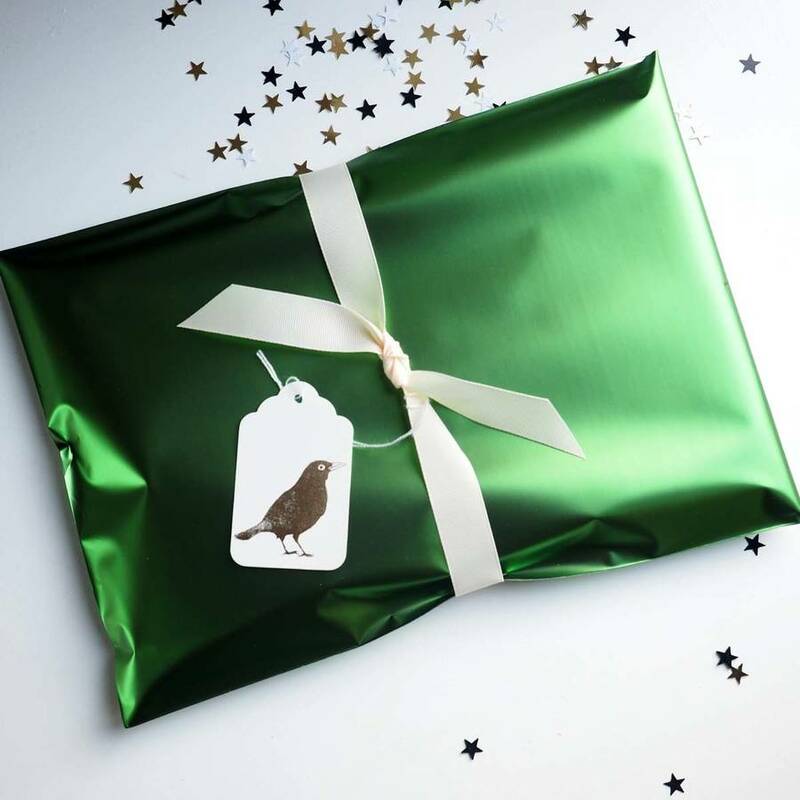 Gift wrap available in a metallic green envelope with an ivory grosgrain ribbon and foil embossed blackbird gift tag. 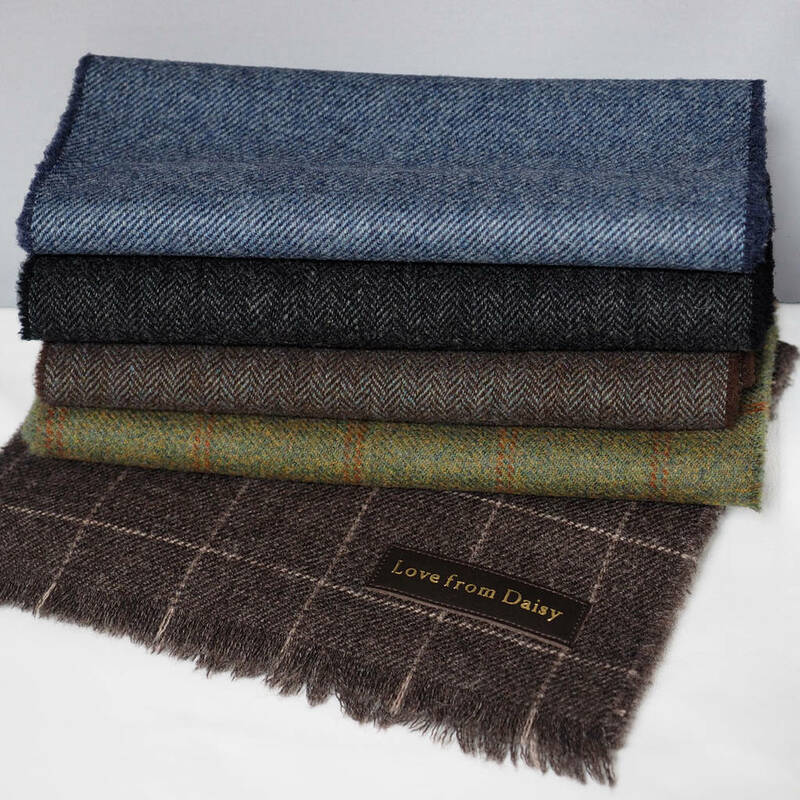 The scarves are woven herringbone in 100% lambswool. Dry clean or wash very gently by hand in warm water, then dry flat. 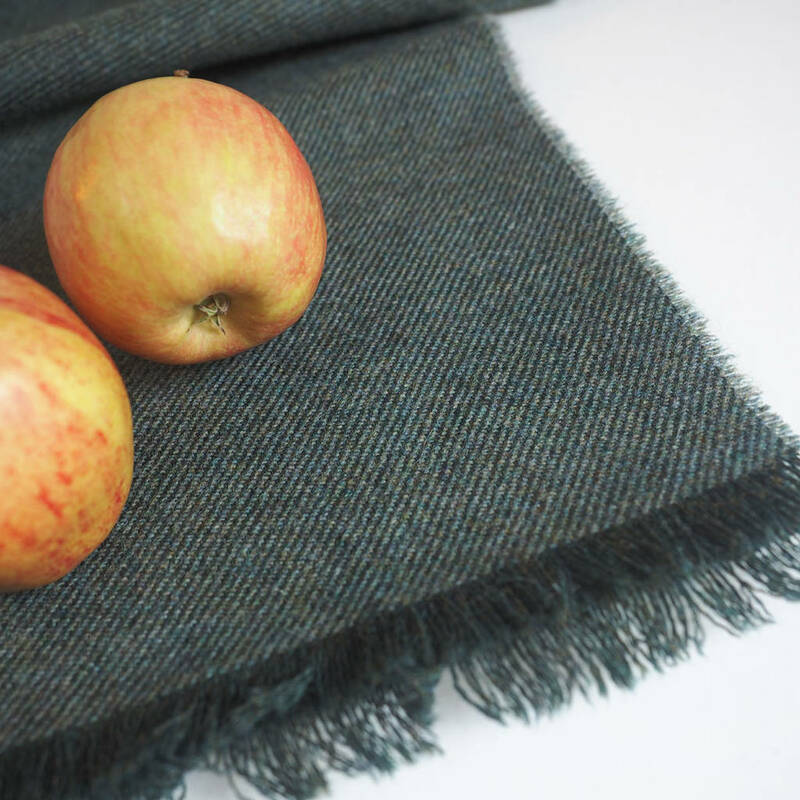 The scarves can be ironed using a wool setting. 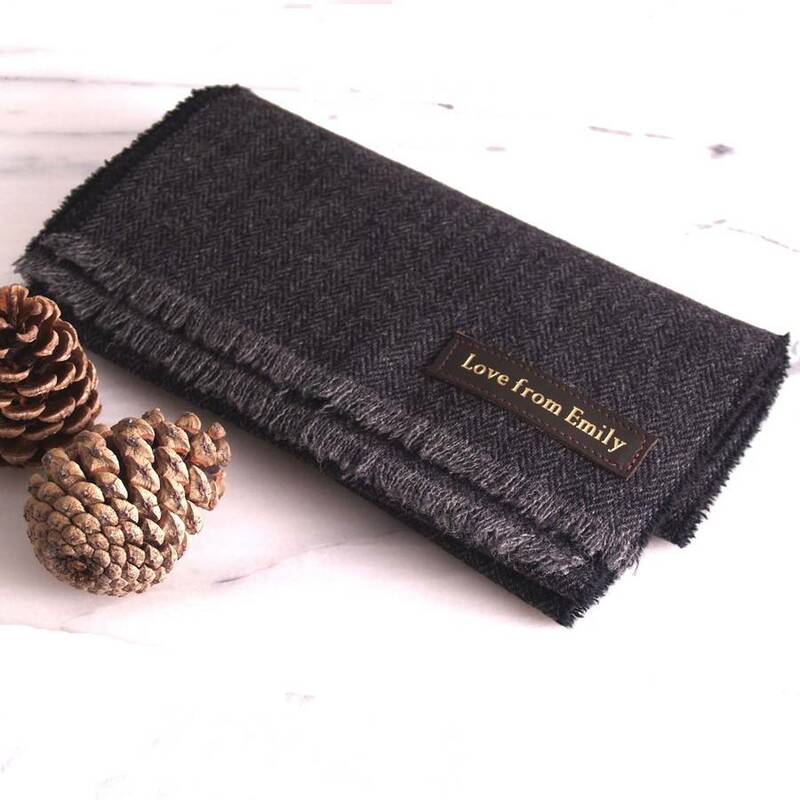 These scarves are beautifully warm and easy to wear, however, they have the slight frizzy wool character you find in lambswool jumpers so may not be suitable for those with sensitive skin if to be worn against the skin. Approximately 175cm long by 25cm wide or 69 x 10 inches. This product is dispatched to you by Stabo.